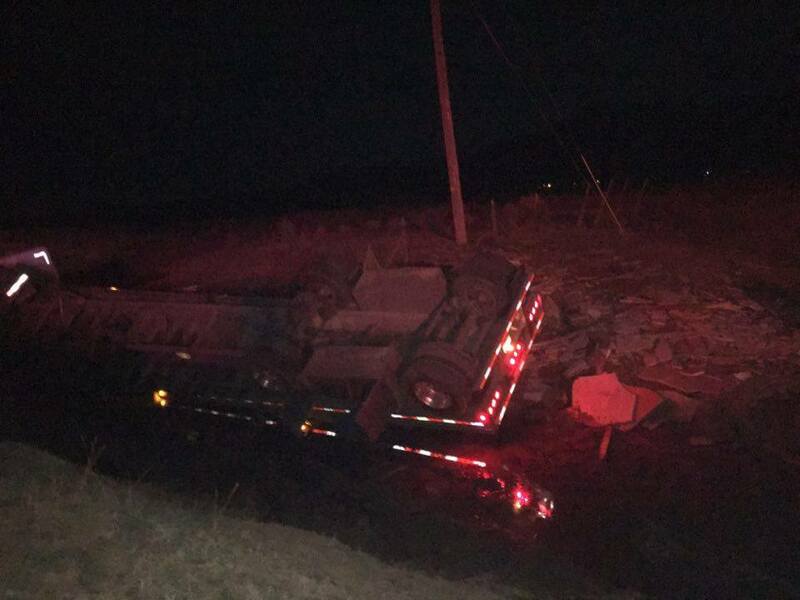 CEDAR CITY – A semi truck hauling granite rolled Wednesday night leaving a Cedar City man with minor injuries. At approximately 10 p.m., a 55-year-old man was traveling north on Interstate 15 when the semi truck he was driving rolled at mile marker 44 near New Harmony. The driver, who chose not to give his name, said his semi truck was carrying a full load of granite. 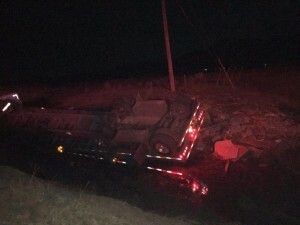 It was then, Allred said, the truck veered to the right and rolled into a culvert. The driver said he woke up just as his semi truck started drifting off the freeway. Paramedics on scene evaluated the driver and released him to his wife, who also declined to provide her name. She told Cedar City News she was taking her husband to the hospital for further examination. Allred said the man had complained of slight neck pain. The driver’s wife said her husband had been driving semi trucks for decades but Wednesday’s accident was his first. It was too dark for authorities to assess the full damage of the semi truck or the load it was carrying, Allred said.